Di' Original Recipe - Quick & Easy! Hello Wellesley, thank you for your new Year wish - same to you and your family. Just wanted to say thank you for the wonderful black cake recipe of your sister. I've used the recipe and the cake was a big hit. I still remember the first time my auntie Sadie (affectionately called Aunty) said those words to me, I was around 10 years old. I was so excited because I had watched my older sisters doing this a million times to make black cake! I don't know if it was how creamy and fluffy the butter looked when it was all mixed with the sugar, but I had always wanted to try. 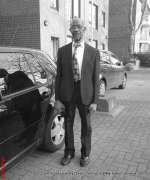 ...or scroll below to continue to read 'my story'. Now, this piece wouldn't be the same if I didn’t tell you how, whenever the younger of the two sisters, Noelle, use to do this task, her face looked as though she had sucked on lime! It good to know as well, that she always seemed to want to avoid the kitchen around Christmas time, because that was when most of the baking was done. Now that I think of it… she was conveniently missing on this day. Now, my sweet, darling of an aunt handed me the bowl and the spoon and told me to get started and she left the kitchen. Pardon the use of my patois but… Shi trick mi! (she tricked me!) My dear, sweet auntie never warned me! Shi neva mean mi no good at all! (she never meant me any good). I looked left and I looked right, no one was there to assist! My poor arm ached and sweat ran down my back! The amount of calories I must have burnt trying the make the butter and sugar “light and fluffy”! “Dear Lord”, I thought, “Please take me now!” I must have passed out because I only remember seeing the eldest of my two older sisters creaming the butter the next minute! I never learned to bake after that experience -_-. In the days that followed, my left arm was significantly toner and stronger than the right. 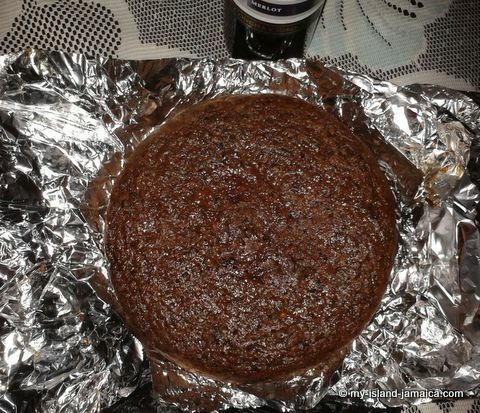 What Is This Jamaican Black Cake? 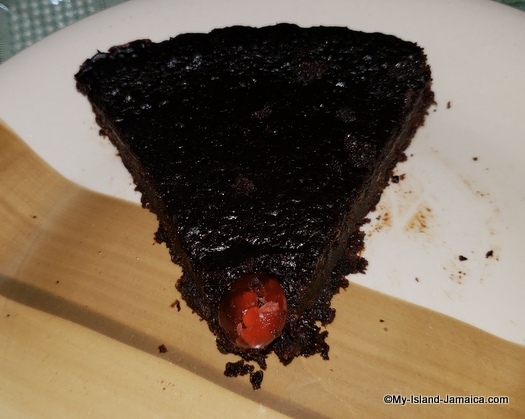 The Jamaican black cake, also called Jamaican fruit cake, is the traditional Christmas cake of Jamaica, made from rum/wine soaked fruits, wine, and love! A Jamaican Christmas isn't complete without our fruit cake. No one fruit cake is equal and the texture may differ depending on whose making it. Some people use mixed fruits, while others may just stick to two. One thing for sure though, they're going to be rich and they're going to be moist. Please note: Most Jamaicans soak their fruits in rum for days, for some people, months or even years! I have fruits soaking in my kitchen cupboard that Nana left there for at least three years and its delicious! If you are not in Jamaica and are a Jamaican, Jamaican decent or are having Jamaican visitors over for a Christmas dinner; there is no better way to celebrate like a true J’can ( Jamaican) than to try one of these for yourself. Boil Red Label wine for 2 minutes. Let cool then use it to blend prunes and cherries. Let it soak for two days. Fold in flour, soaked fruits, Red Label Wine and browning alternately into the mixture until all the ingredients are finished. Grease bottom of 10 inch baking tin then add batter. Recommended! 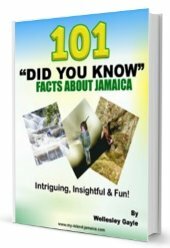 Be sure to get more free Jamaican recipes right here. 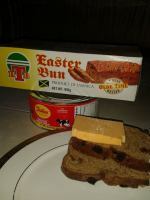 You may also visit Grace Foods.com to see their version of Jamaican Christmas cake.